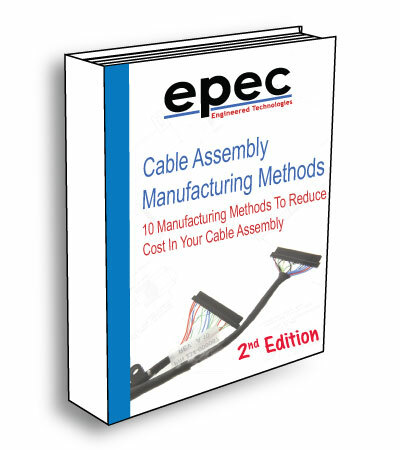 Inside our Cable Assembly Manufacturing Methods Ebook, you will discover several suggestions on ways to keep your cable assembly costs under control. These recommendations will help you understand the many facets of designing a cable assembly or wire harness that meets your expectations, but also ways to keep the costs of cable assemblies as low as possible. The cable assembly solutions that Epec offers include highly reliable products able to withstand the rigors of the application the assembly will be used in. Whether the assembly will be exposed to repeated flexing, exposure to fluids, or to the harsh environment of a manufacturing floor, our cable assemblies and wire harnesses are built to meet the challenge.